Defenseman Max Gildon (Plano, Texas/University of New Hampshire), who helped the U.S. claim the gold medal at the 2017 International Ice Hockey Federation Under-18 Men's World Championship in Poprad and Spisska Nova Ves, Slovakia, will join the U.S. roster at the 2018 World Junior Summer Showcase. A participant a year ago at the 2017 World Junior Summer Showcase, Gildon will skate on the USA Blue roster in place of defenseman K'Andre Miller (Minnetonka, Minn./U.S. National Under-18 Team), who is unable to attend camp due to illness. The 2018 World Junior Summer Showcase begins Sunday (July 29) at Sandman Centre in Kamloops, B.C. The Showcase serves as an audition for players seeking to make their federation team that will compete at the 2019 International Ice Hockey Federation World Junior Championship, Dec. 26, 2018 - Jan. 5, 2019, in Vancouver and Victoria, B.C. 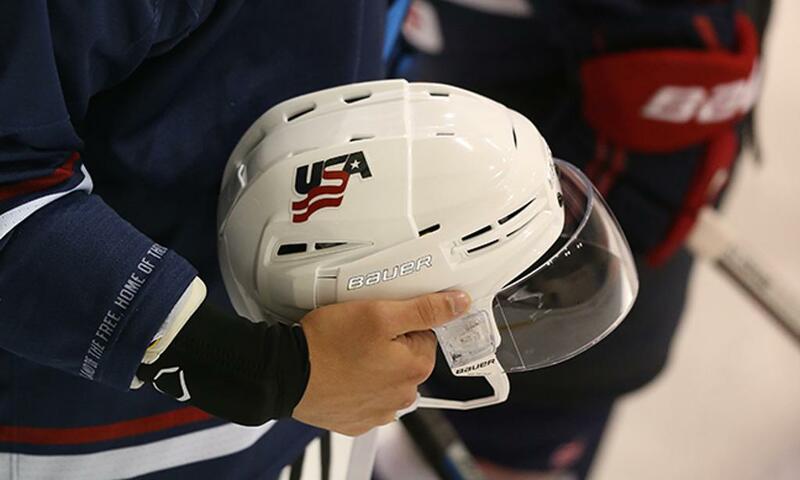 For the full U.S. World Junior Summer Showcase schedule, click here. LaCombe, who will be making his international debut, has skated in the Shattuck-St. Mary's organization for the last three seasons. This past season, the University of Minnesota commit appeared in 55 games with the USHS Prep team, pacing all players with 44 assists after leading the 16U Shattuck-St. Mary's team in assists (34) in 56 outings during the 2016-17 season. The U.S., which has earned top-three finishes in three of the last five Ivan Hlinka Memorial Tournaments, arrives in Red Deer, Alta., this Monday (July 30) for training camp. Team USA will play an exhibition game against Slovakia on Aug. 4 before opening tournament play against the Czech Republic on Aug. 6. For more information, including roster and schedule details, click here.